I will not go into how Alexis just doesn’t like to sleep. I’ve written enough about it here and here and here and here and I am planning on a big post talking about the situation and solutions and what worked and what didn’t, just in case there is someone else struggling who has tried everything and have come to the conclusion that their baby just doesn’t sleep well. I’ve gone through every suggestion and tip in every book that doesn’t advocate a CIO method and almost every person, who gave unsolicited or solicited advice. At this point, we are at a somewhat reasonable “managed stage of sleep”. By that I mean, I can deal with it, and she gets her recommended amount of day time sleep. I have to say though until certain things were implemented, we really really struggled with naps. She’d only sleep in our arms being rocked, she’d wake up every 5-10 minutes after being put down, she’d hate being swaddled, but yet her arms would always wake her up. We were lost. We didn’t know what ELSE to do to keep her asleep. When she was awake, she would struggle and scream if we’d put her in a swaddle until we released her, but then once she was asleep, she would wake up the second we would try to put her in a swaddle. The challenge was that you needed to turn her around a few times to properly swaddle her. So when it was day time and she wasn’t as sleepy as she is at night, it was a suicide mission. So we let her go unswaddled. She’d spread her arms and sleep for 10 minutes before waking herself up by itching her nose or bringing her hands to her mouth. Then one day, as a last ditch effort, I bought a Modswad from Zulily. Modswad is the luxury brand spin-off of Woombie. I had looked at the Woombie before and it always seemed to me that Alexis would hate it, seeing how she hates being bound. What made me consider Modswad is that it’s made out of bamboo and I know from experience how soft and stretchy bamboo is (plus I was obessessed with bamboo at that time). So I figured she would have her hands swaddled, but it will have enough “give” for her to move them around without being able to bring them to her face and wake herself up. Plus the whole zipper thing seemed much easier than a traditional swaddle. At the same time I was talking to Karen, the owner of both Modswad and Woombie about trying out her new line and writing the review. She sent me a few items to try including a swaddle that was smaller than the recommended size, citing the fact that some babies need less give in the fabric. Alexis seemed to do just fine with the Medium size, but that’s a good tip to remember if your baby is really wiggly. I was seriously so excited to receive the Modswads. I had put all my left-over hope into this “miracle” swaddle that would solve all my problems. Of course, it didn’t solve all my problems or Alexis’ nap problems, but man, did it make it sooo much easier! The day I received it, Alexis was giving me the run for my money when it came to naps. I quickly threw in a load of baby clothes along with the swaddle and a few hours later it was ready for testing and I was ready for Alexis to finally sleep longer than 10 minutes. I put her in, zipped up half way, we went around the room doing our nap routine, I rocked her to sleep. When she was good and asleep, I transferred her to our bed and carefully folded her arms in and zipped the modswad. All without waking her up. Then I turned on the monitor and tiptoed out of the room. I won’t bore you with details but she slept for 2 hours. For the FIRST FREAKING TIME since she had been born, my baby girl napped for 2 hours on her own. I was shocked, elated, hopeful and scared that it was a fluke. 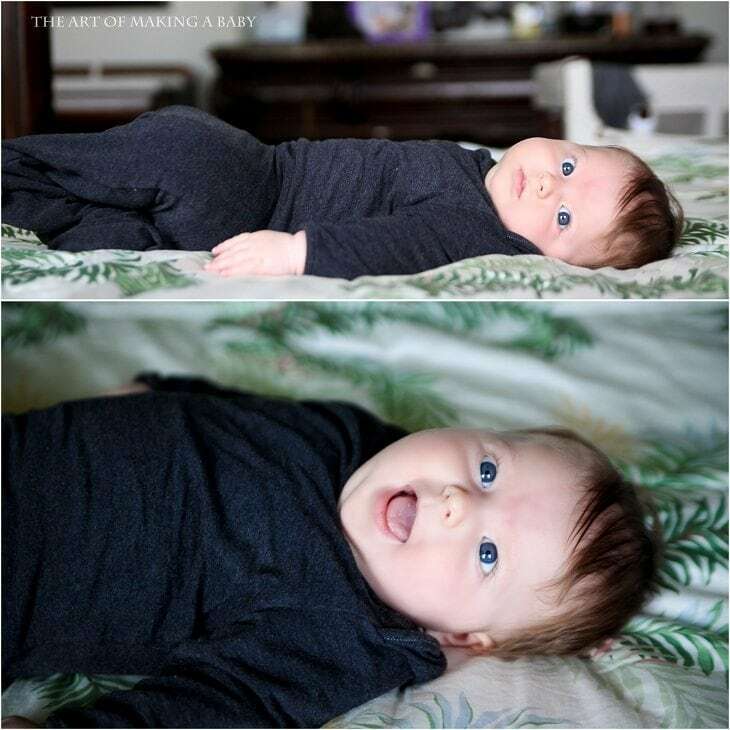 Fast forward to now, the swaddle definitely doesn’t magically make non-sleeping babies sleep, but it at least helps them sleep a whole lot better. Miracle Blanket became way too stiff once Alexis grew a bit and became more aware, muslin swaddles didn’t stand a chance a few weeks in, not swaddling would wake her up, so this was a perfect middle ground between swaddling and not letting her movements wake her up and not making her feel too restricted since she can move her hands underneath the swaddle. 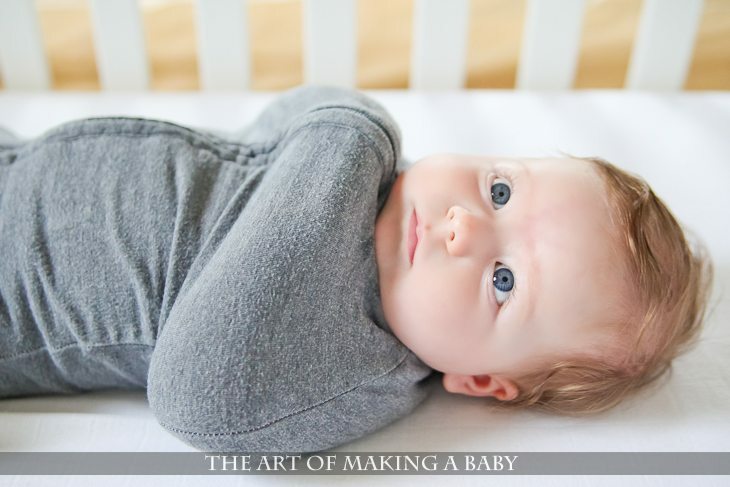 For babies who like to be swaddled tighter or have a strong Moro reflex, getting a smaller size Modswad would work perfectly. I never tried the woombie but I would imagine that cotton isn’t as stretchy and pleasant to the skin as bamboo is. Now in her non-swaddling phase, she currently sleeps in her Modswad sleeper. When one day she goes back to waking herself up with her arms again, I’ll switch back to the swaddle. If she suddenly struggles, I’ll unzip it but leave the legs in – love the versatility. So that’s pretty much where we are at right now. Most of the time, she manages to take a 30-40 minute nap without waking up, at which point I rock her back to sleep to finish it up. Her diminished reflux is also to thank, but time and time again I would watch her try to scratch her nose or move her arm in a swaddle and quiet back down to sleep because her arms are safely inside, which would never happen before the Modswad, so THANK YOU! Besides the swaddles and sleepers, they have really cool ventilated sacks for hot weather and merino wool sleepers and swaddles for cold weather, so it’s definitely worth checking out. There are 3 mandatory entries for this giveaway, after which you will have additional entries available. Disclosure: I was NOT compensated for this post. Modswad sent me a sample to try out. All opinions are my own. It looks like an interesting product however I have some concerns hopefully you can help with them. How tight is the the one with the zipper? To me it looks really tight. I would fear that it would confine a baby too much and not let them breathe deeply causing hypo ventilation. It looks like the arms just about bound to them not allowing a baby’s chest fully expand. Even with the tightest blanket swaddle, it can be made that tight. It is funny you have these concerns because those were the reasons I stayed away from buying woombie (same type of swaddle but made with cotton). I was concerned that it’s too restricting, almost suffocating and the whole safety thing. That’s why when I found out about bamboo ones, knowing how stretchy bamboo is, I decided to try. I know it looks restricting, it’s anything but. For example in the zipper swaddle, she can still lift her arms above her head. Or if she flips on her stomach she can actually get up on her arms. It’s definitely safer than traditional swaddles from these standpoints. Her arms are never pinned down which is why she doesn’t mind it unlike others now. I’d like to suggest you join Livejournal, particularly the Parenting 101 community! (http://www.livejournal.com/search/?q=parenting+101&area=default) We have a bunch of parents over there that would love to give you all the tips and advice you could ever need, and most of us have been parents for awhile now! Look into it. Everyone over at Parenting 101 is bitchy, in an awesomely awesome way, too. If you like that kind of thing. Which I do. P101 is an addiction. A serious addiction. Once you join, there is no turning back. Seriously. Not everyone is bitchy, though. I think Elena could benefit from some advice from those who have been there, done that! I seriously meant it as a compliment. I love the entire tone of that community. It’s bitchy in a friendly way if that even makes sense.. I have never liked a parenting community as much as I like P101. I’ve been in that damn community since before I was a parent, lol. I don’t even USE LiveJournal anymore, except to go to P101. 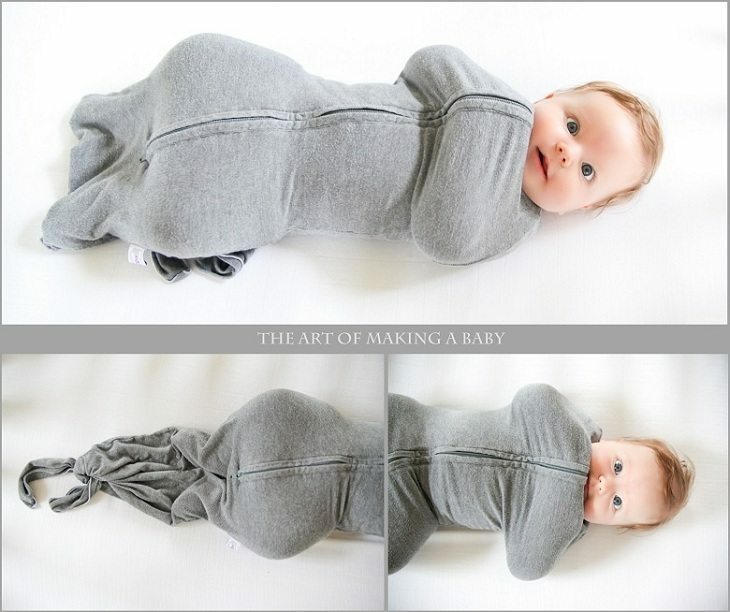 That is the cutest freaking “swaddle” alternative I have ever seen. Also, her hair is getting so light!!!!! I just wanted to say that I really think it just takes time for babies to nap. My son didn’t start taking long naps until 6 months. And even then he only started after going to daycare. Every single mom I know complains about their baby not napping long enough, and I remember when I was home on maternity leave I used to obsess about it. Eventually, I just gave up and went about my business and he would sleep in the car/stroller (but this was April so much better weather!). Anyway, I just want to say you are not alone. It really is quite common and it does get better. (I really think they should create day care like centers where babies can go for a week or two for nap training ha ha). I agree. I think short naps are more normal than not. My boy didn’t nap long until after 6 months and still struggled with them when learning to crawl or walk. So don’t feel alone girl. When my sister and I realized how many moms think their babies were “bad” sleepers we just realized that maybe babies just don’t sleep like adults and it’s normal. But my little guy does have a very attentive personality so I do think that was a lot of it. Oh. and I love that swaddle. I just might have to try it out with this next one on the way. I have the woombie and it is so soft and stretchy. It worked great for my little guy too to help him sleep. You are doing sooo great! Yeah that’s what I’m starting to see. There are a lot of babies that sleep and a lot that take cat naps. It has to do with self-soothing when they briefly arouse at 30-40 minute mark. We’ve improved it a lot through certain tips I’ve read in books but it’s still very “parented” sleep. The funny thing is Alexis was that way even when she was “supposed to sleep all the time” as a newborn. She almost never slept! Yeah as soon as she learns to self-soothe (on her own), it will get better since she won’t wake up after each sleep cycle. Sadly, my son knows how to self soothe and it is still anyones guess whether he will actually choose to do it or not. Sometimes he puts himself right back to sleep no problem other times it is a screamfest. Babies are odd. Maybe he hasn’t figured out that’s what it is 🙂 so that’s why it sometimes happens sometimes doesn’t. I know Lexi doesn’t know how to self soothe. She’s never once fallen asleep on her own even if she wakes up midnap. Though I can tell she’s getting closer to it. As your daughter gets a bit older you really shouldnt have her in swaddles anymore as she will be able to roll over. But happy for you that it is working for now. Lexi only knows what you show her or what you do. If you teach her to only fall asleep in your arms or being rocked, of course thats the only way she will fall asleep. Shes a baby. You are her only reference. Until you show her otherwise thats when she will learn a very important tool. To self soothe. Babies are not a blank slate. They actually know a lot. A skill of self soothing is acquired not taught. It can be forced by CIO methods but it’s not something we want to do. You can gently encourage a baby to fall asleep on their own and sleep longer but with Alexis that only goes so far. She has never been the kind of baby that could be put down and patted to sleep. She’s already made huge progress in the sleep department but it needs to go at her pace. Oh and I never did cry it out methods. People tell you over and over that you need to teach them to self-soothe. But seriously, they will learn on their own. My daughter was never sleep-trained in any way, I’ve always responded to her immediately whenever she cried or called for me. She’s 3 now and goes to sleep by herself, not because I forced her to, but because she was ready to. And personally, I really feel like her independent and sweet nature has a lot to do with the fact that we let her decide when she was ready to do things such as go to sleep on her own, wean, potty-train, etc.